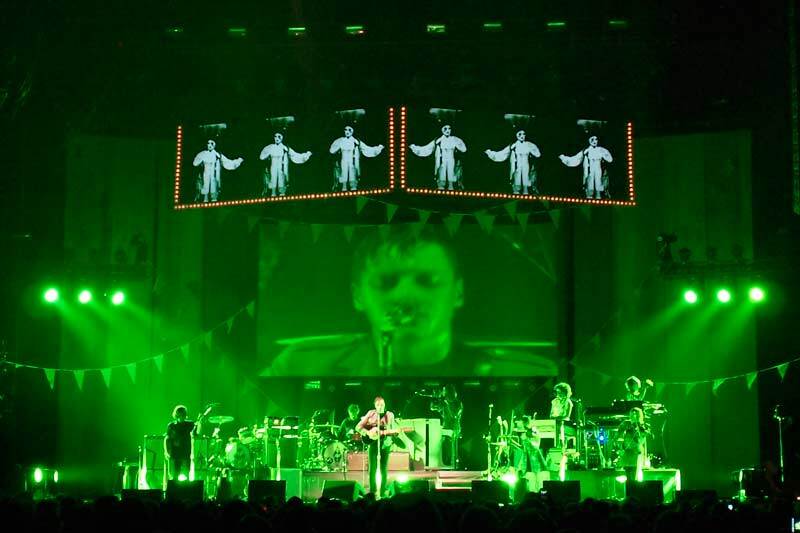 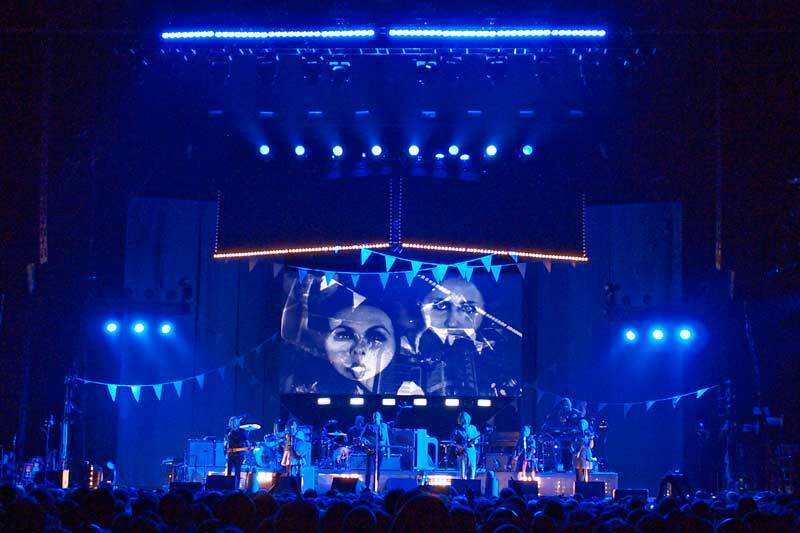 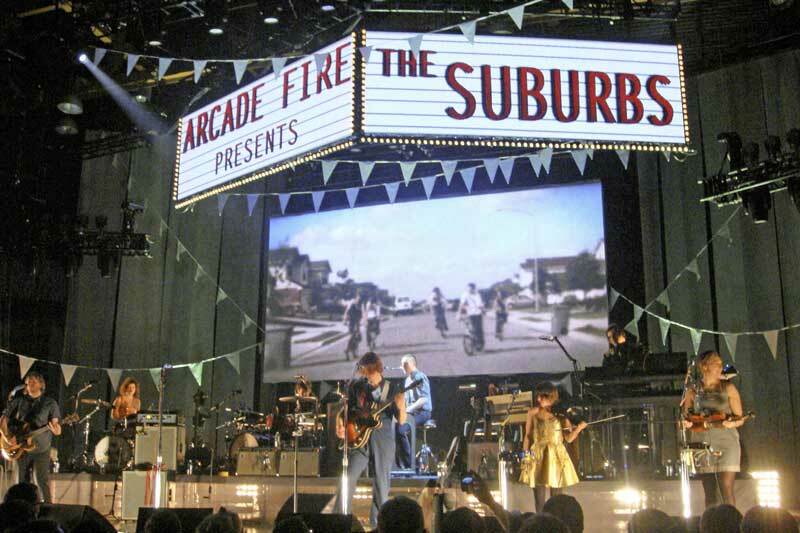 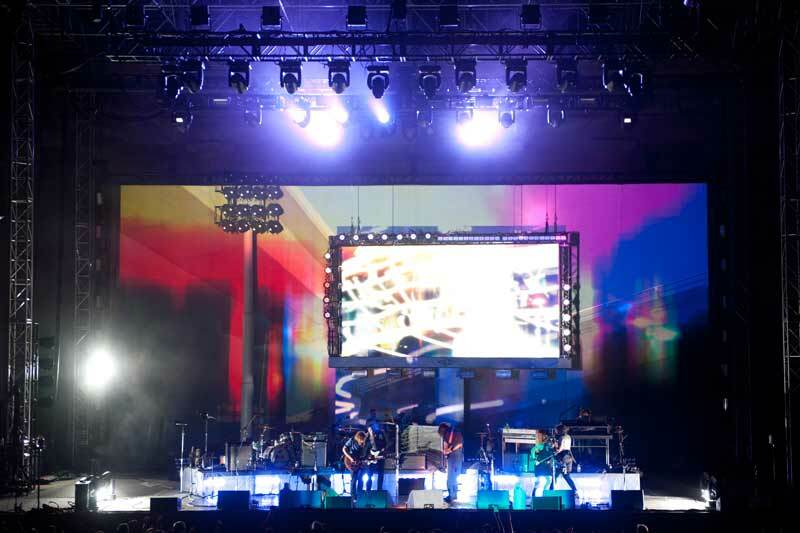 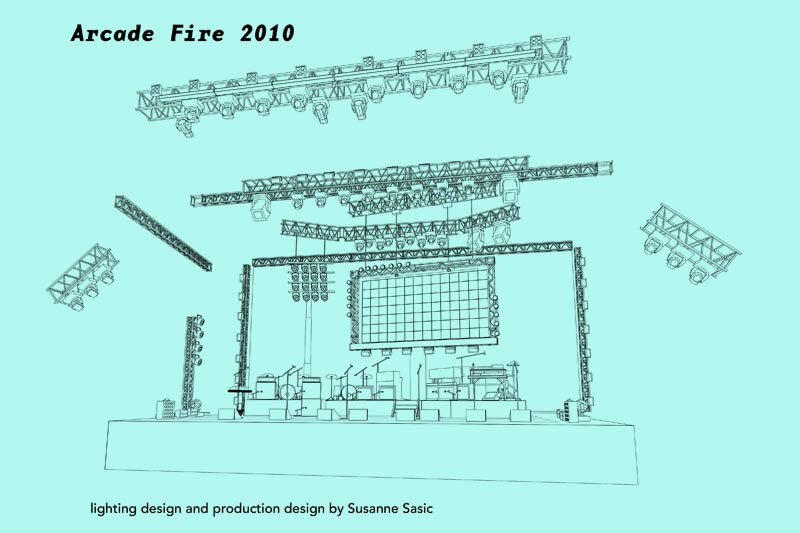 Arcade Fire's 2010-2011 tour stage was initially designed as a suburban dystopia, a grey landscape brought to life with a lighting palette of washed out greens and oranges. 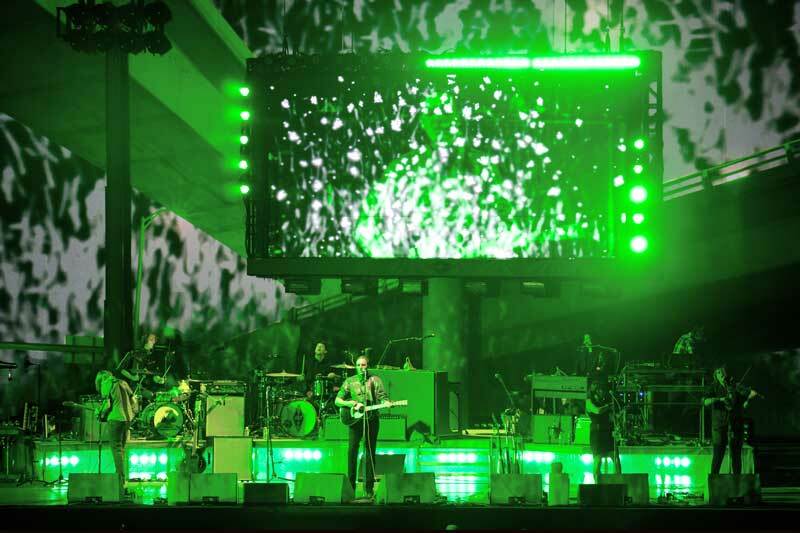 A video screen set piece was styled as a roadside billboard and a backdrop pictured a highway underpass in eerie twilight. 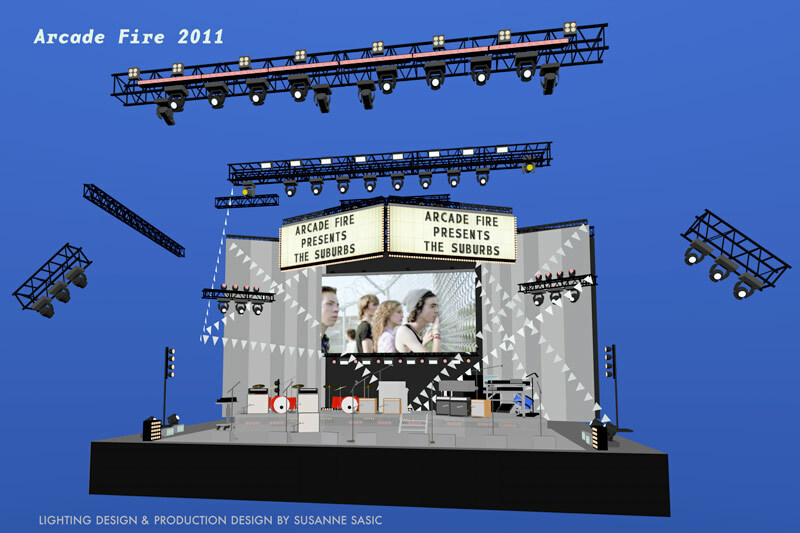 A 2011 redesign created a nostaligic movie marquee framed with blinking marquee lights and strung with banner pennant strings. 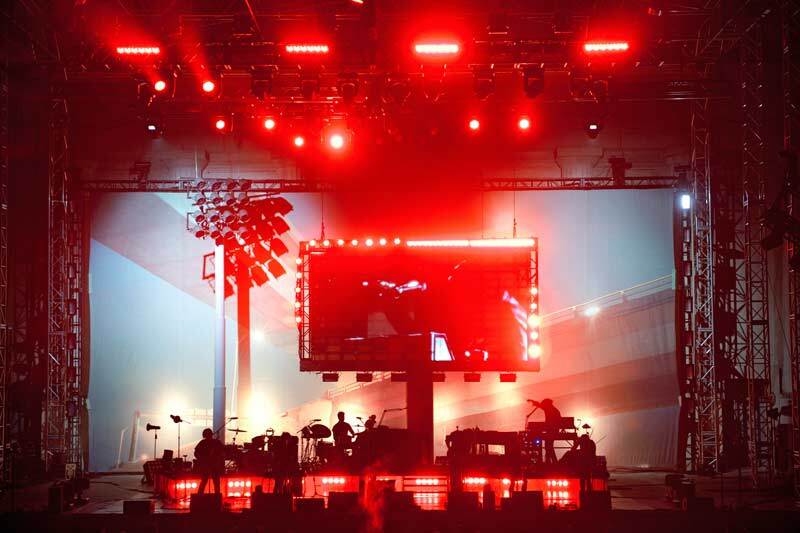 Lighting was bold and dynamic for this powerhouse live band's arena shows and big festival appearances.